nv charts are characterised by their clean, professional appearance and easy-to-distinguish colour graduations of depth lines. Presented in a handy, user friendly size, everything is delivered in one package and supplied in print, digital download and app. 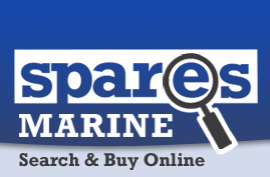 SD / MSD format cards also available for Lowrance, Simrad, B&G and Raymarine plotter use. The nv chart philosophy is “to deliver everything a recreational boater needs for navigation, in one package, at a reasonable price”. Therefore all charts are delivered as chart packages, which include paper charts, a companion CD and in most areas an accompanying Harbour & Anchorage Pilot book, where more detailed information is required for safe local navigation. The companion CD includes the same charts in digital format and a GPS ready navigation software, turning your PC into a chart plotter. You just need to provide a connection from your GPS to your PC. NV. Charts are used by the US Coast Guard and by pilots on the Kiel-Canal in Germany. Hardware is constantly changing, due to the speed of development in the IT sector. Smartphones, iPad, iPhone, OS X, Windows, Android, the number of different devices and operating systems is almost infinite and is revolutionizing the navigation software market. NV. Charts have set themselves the goal to develop an app that works on all platforms and that looks and functions the same way, regardless of the hardware used. The NV charts App is not only a navigation tool but also offers the infinity of the internet to which it is connected. 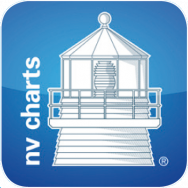 The last nv charts update contains lots of new features for the 2016 nv charts App version. Some of the most significant changes are new navigation tools giving you even more options in your everyday navigation tasks. Especially the support of AIS Sart Beacons, which are becoming increasingly more popular among boaters, enhances the safety on water when using the nv charts App. A new professional night mode makes the app even better to use on long trips during the night, maintaining your night vision. Also users have been requesting a anchor alarm feature. Thus we have gone ahead and included two different types of alarms: Lines and circles. NV Charts’ new NV Atlas chart format has been nominated for the prestigious DAME Design Award, ‪#‎DameAward‬, the most prestigious international design competition for new marine equipment and accessories at the ‪#‎METS‬ Metstrade show this year in Amsterdam. We thank you and the DAME Design Award Jury for liking our new NV Atlas chart format, a revolutionary new design approach that’s so handy and easy to use!